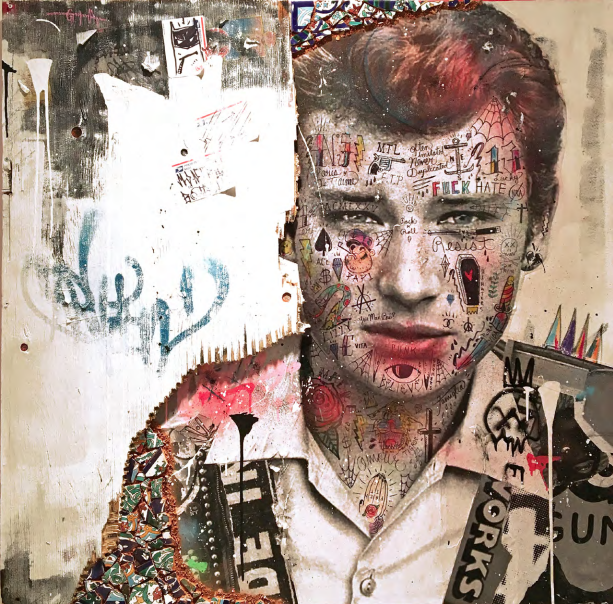 This June 2018, Stikki Peaches presents his first solo show in Paris "Rebels With A Cause" in the Nextstreet Gallery. The anonymous Montreal artist Stikki Peaches is best known for the tagline What if Art Ruled the World weaved throughout his celebrity mash-up wheat pastes. Using a variety of media including collage, acrylic paint, and silkscreen, Stikki Peaches’ work occupies a liminal space between the street and the gallery. Since his 2008 debut on Montreal streets, Stikki Peaches’ mash-up wheat pastes have taken over the streets of Paris, New York, Toronto, Los Angeles, Berlin, Stockholm and London. Using a variety of media including collage, acrylic paint, and silkscreen, Stikki Peaches’ work occupies a liminal space between the street and the gallery. The anonymous street artist is strongly influenced by pop culture references and lowbrow street culture. 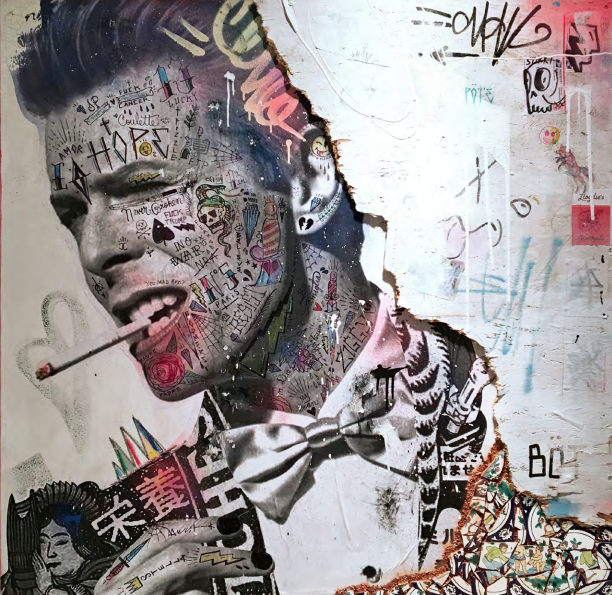 He is constantly creating art that can be thought of as “beautifully controlled chaos.” Stikki combines images of classic films, celebrities, and musical icons into hybrid characters. 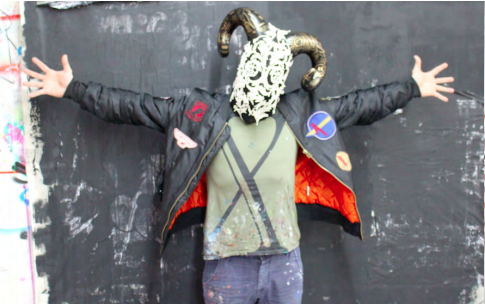 Stikki Peaches had his first international solo show in 2012 in New York. Since then, he has participated in the Scope Art Show NY, Scope Miami Beach and Urvanity Art Fair in Madrid. Mixed media on canvas with reclaimed wood & Tunisian hand painted tiles.